Hospitals born in Orte around 1200: seven hospitals, one for each fraternity and independent from the others. Each of these hospitals was specialized in the treatment of diseases or epidemics details, or just for tourists. Around 1500, the seven fraternities have given birth to a single hospital, renamed "Hospitals of Orte". 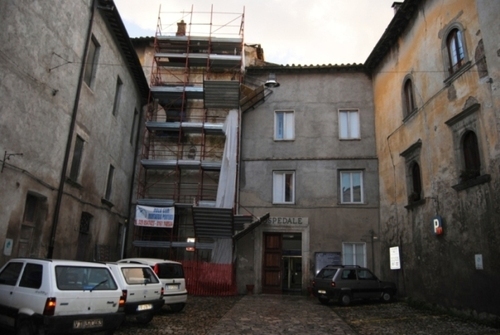 Over the centuries, an administrative plan of the Lazio Regione decided that all small hospitals had to be closed to make room for larger hospital. Orte hospital had inside three departments: surgery, general medicine and first aid. From about 10/15 years was closed and now qualifies as a Central Health, with a small clinic for blood tests and a small department of radiology. 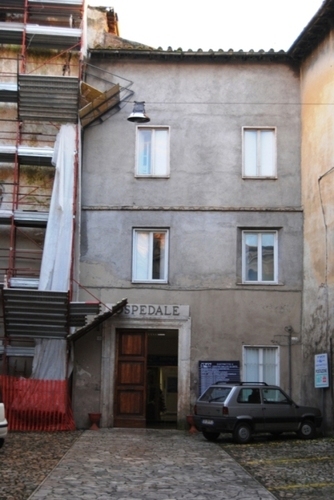 Detached from the place of this Center-Health, after the closure of the hospital was built the Italian Red Cross and emergency medical service.